PHNOM PENH, July 26, 2010 (AFP) - A UN-backed war crimes court on Monday sentenced a former Khmer Rouge prison chief to 30 years in prison for his role in Cambodia's "Killing Fields" atrocities in the late 1970s. 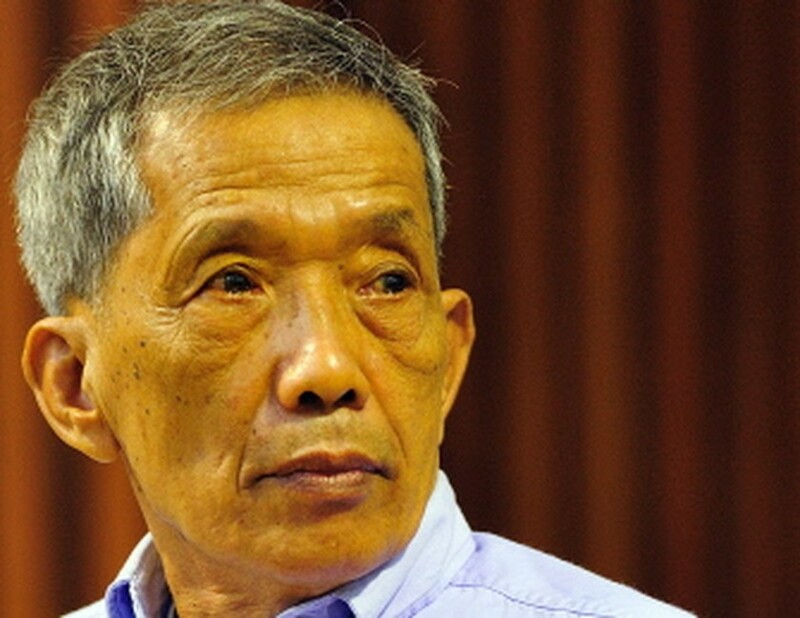 Kaing Guek Eav, better known as Duch, is the first Khmer Rouge cadre to be convicted in an international tribunal over the deaths of up to two million people through starvation, overwork and execution at the hands of the regime. The 67-year-old was initially given 35 years but the court reduced the jail sentence after ruling that he had been detained illegally for years before the UN-backed tribunal was established. Duch apologised during his trial in Phnom Penh for overseeing the murders of around 15,000 men, women and children at Tuol Sleng prison, also known as S-21, but shocked the court in November by finally asking to be acquitted. The maths teacher-turned-revolutionary was convicted of charges including crimes against humanity and war crimes. "The role of the accused as the undisputed head of S-21 is confirmed by the accused's own admission, the testimony of witnesses and civil parties," head judge Nil Nonn said as he read out the verdict. Tuol Sleng was the centre of the Khmer Rouge security apparatus and thousands of inmates were taken from there for execution in a nearby orchard that served as a "Killing Field". Crowds of Cambodians, including regime survivors and Buddhist monks, turned up at the specially built court on the outskirts of Phnom Penh, hoping to finally see justice for the Khmer Rouge's crimes during its 1975-1979 rule. Prosecutors had asked for a 40-year prison sentence from the tribunal, which did not have the power to impose the death penalty. Duch, wearing a blue shirt, slumped in his chair as the tribual read out of the verdict in a courtroom shielded by a huge bullet-proof screen to prevent revenge attacks by Khmer Rouge victims. He was transported to court in an armoured Land Cruiser with blacked-out windows from the nearby villa-style detention centre where he was being held with four other regime leaders, who face trial for genocide early next year. Led by "Brother Number One" Pol Pot, the Khmer Rouge was responsible for one of the worst horrors of the 20th century, wiping out nearly a quarter of the population. The Khmer Rouge was ousted by Vietnamese-backed forces in 1979, but continued to fight a civil war until 1998. Pol Pot died in the same year. Duch has been detained since 1999, when he was found working as a Christian aid worker in the jungle, and was formally arrested by the tribunal in July 2007. The court has faced controversy over allegations of interference by the government and claims that Cambodian staff paid kickbacks for their jobs. The joint trial of four more senior Khmer Rouge leaders charged with genocide is expected to start in 2011. The court is also investigating whether to open more cases against five other former Khmer Rouge cadres after a dispute between the international and Cambodian co-prosecutors over whether to pursue more suspects.